His statement came days before the Equifax breach … a breach that exposed the personal information of 143 million Americans (nearly half our country). Social Security numbers, bank accounts, credit cards … all compromised. Billions of dollars wiped out. Indeed, new studies show that cybercrime robs more than $400 billion from U.S. businesses each year … a number experts predict to rise to $6 trillion annually by 2021 (a 14-fold increase). National security leaders agree: “Cyberwarfare is the greatest threat facing the United States.” In fact, 12 new people are hacked each second … that’s more than a million each day. But according to Yastine, there’s hope! This code acts as a vault for people’s information. Think of it like a 20-digit passcode that changes every second. And this company – now publicly traded – is looking for investors. 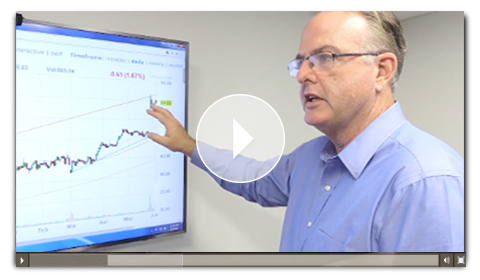 In his video, Yastine reveals how you can take a stake with as little as $50. Doing so will not only aid in the fight against “the No. 1 threat facing our nation,” it could also make you a fortune (think in the millions). This company has already set up accounts with some of America’s biggest corporations and is raking in $216 million annually (up 500% in the last four years).